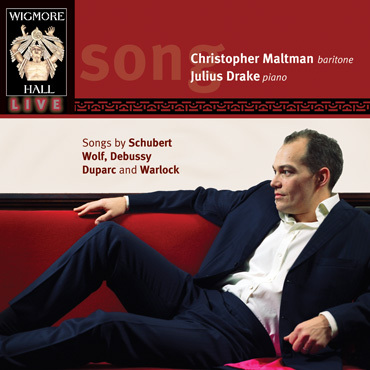 Superbly aided by Julius Drake, Maltman’s dramatic interpretations are unsurpassed; his performance of Duparc’s La vague et la cloche was described by The Guardian as a ‘tour de force of baleful intensity’, in contrast to his ‘funny, bitingly satirical and faultless’ interpretation of Flanders & Swann’s Misalliance, sung as an encore. It’s Maltman’s superb breath control which gives shape and sensuous beauty to Debussy and Dupare. And, thanks to Drake’s restraining pace, Warlock’s Captain Stratton’s Fancy’ has real swagger. Flanders and Swann’s little masterpiece… about the Honeysuckle and the Bindweed, ends the recital in raptuous applause.